Get the look: “After 5” Holiday Party Hair! Prep Hair with Phytovolume shampoo and Phytobaume conditioner; this gives hair volume and shine without weighing the hair down. After towel drying the hair with a microfiber towel to remove most of the water, spray in Phytovolume Actif at the root, overlay Phyto Professional intense Volume Mousse, apply evenly with a wide tooth comb. Blow dry the hair out creating lift at the root by using a paddle brush moving the hair back and forth creating a seamless effect. When the hair is completely dry, use a 1 1/4 inch curling iron to set the hair. Set directionally back off the face and in the back create a brick lay pattern so no set lines can be seen, secure each curl with a clip and let cool. Finger comb though set. Make a part from the back of the right ear to the back of the left ear. Create three sections, two side sections and top crown section. Backcomb at the root of the top crown section leaving out wispy pieces around the hairline. Once the lift in the crown is secure spray Phyto Professional workable spray to hold. Fold over the right and left sections over the crown section. Secure by crisscrossing bobby pins underneath the sections to hold, use Phyto’s workable Holding Spray to set entire hair style. Finish with Phyto Professional matte texturing paste. Warming product in hands,use fingertips to accent pieces, which finishes the look with a modern lived in natural finish. 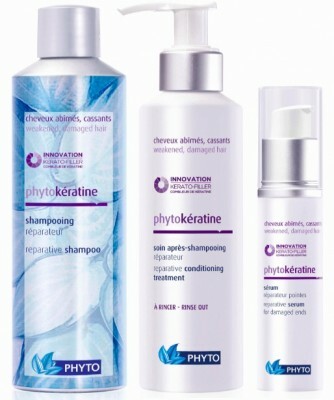 PHYTO Hair care is known for their botanical based formulas with clinically proven results. I use the Phytovolume shampoo and Phytobaume conditioner regularly. PHYTO can be purchased at phyto-usa.com or Beauty.com. 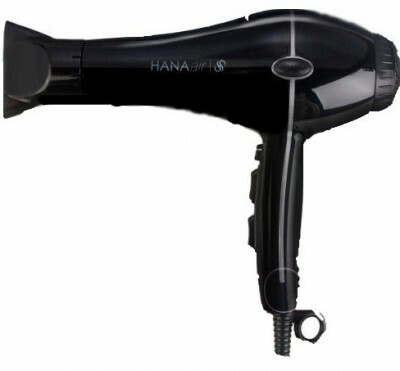 The HANAair Italian Design Professional Hair Dryer is powerful; its tourmaline lined ceramic heater will dry your hair up to 60% faster maintaining natural shine and healthy looking hair. There is so much technology that has gone into this hair dryer; from the ion technology that reduces static to it’s lightweight, quiet motor. 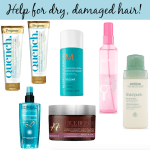 The 3 heat settings, plus the cold shot, ensure I thoroughly dry my hair without frying it…Love! Available at Missiko.com. 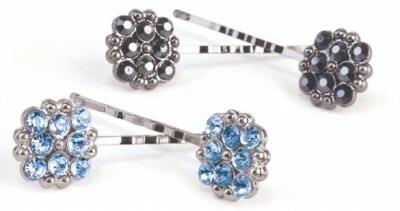 To give your hair more of an “after 5” look, tuck in a few rhinestone bobby pins from the Goody Regency Collection. These versatile pins not only hold your style in place, but instantly take the look from drab to fab. Available at Target.